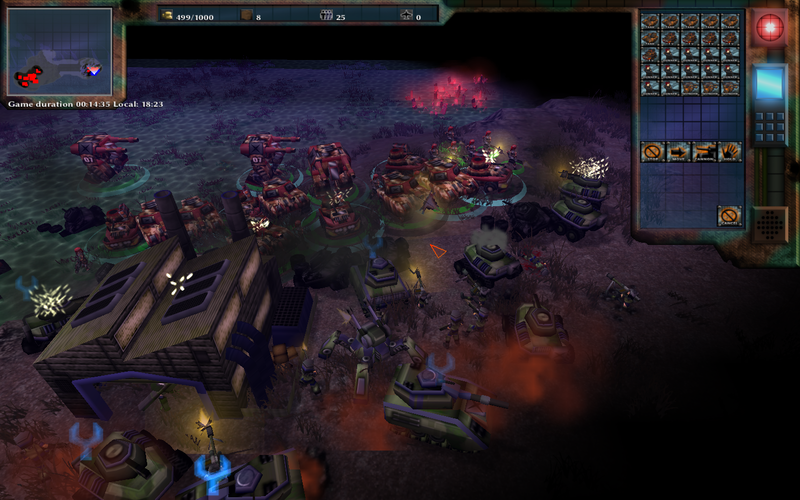 After more of a year in development, Annex: Conquer the World 4.0 is out October 5th! 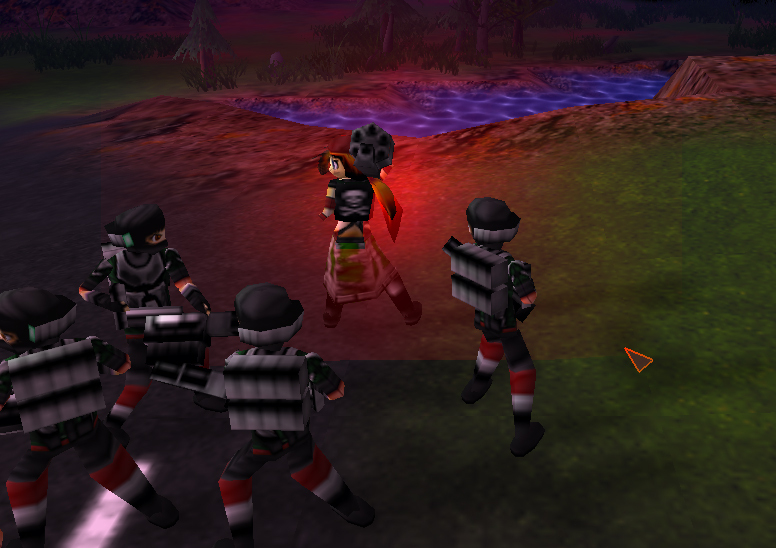 A massive update to the open sourced, anime themed, real time strategy game. THE TIME HAS COME!! 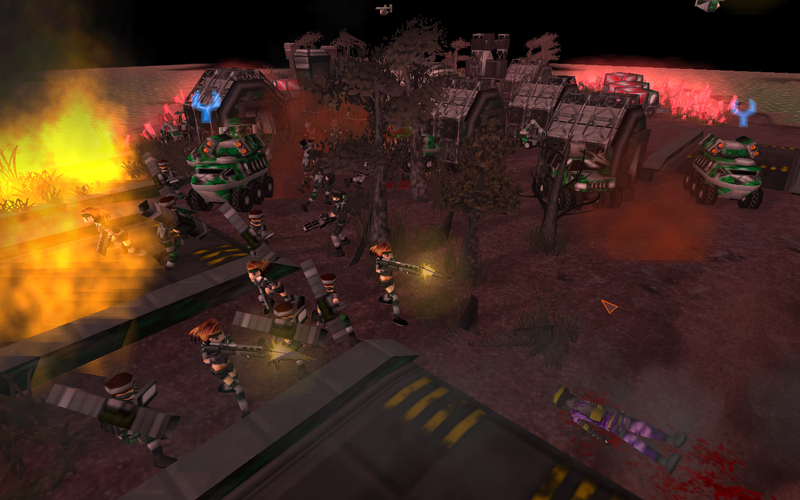 Annex: Conquer the World, a freeware strategy game for Windows, Linux and and OSX powered machines is having its biggest update ever! 4.0 includes two new unique armies: the Alliance Renegades and NEO Republic, along with updates of the previous East Ocean Alliance and the Shadow Organization, 30 technology tree options, all new maps and scenarios, a new soundtrack, new sounds and voices, and new units to choose from! As of release 4.0 the game is now FOSS licensed! Annex: Conquer the World is an anime themed real time strategy game that brings fast paced combat with a diverse arsenal. 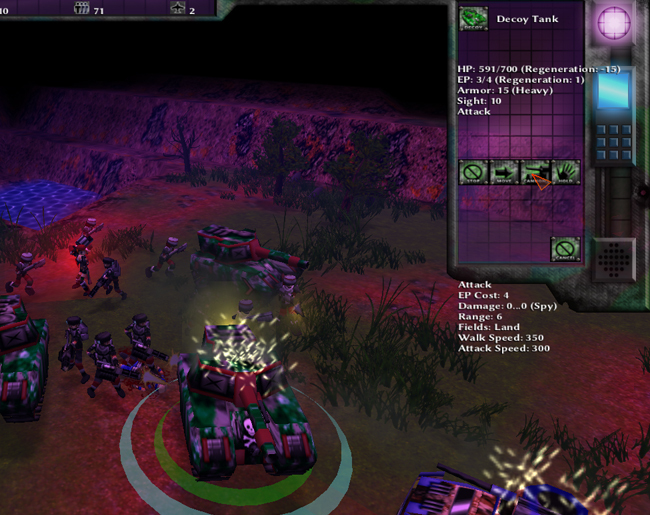 Play as one of four factions: The East Ocean Alliance, the NEO Republic, the Shadow Organization, or the Renegades as they struggle for dominance all over the world, competing for a priceless red mineral. The game now contains 4 factions, over 30 tech trees, original maps, and tileset. 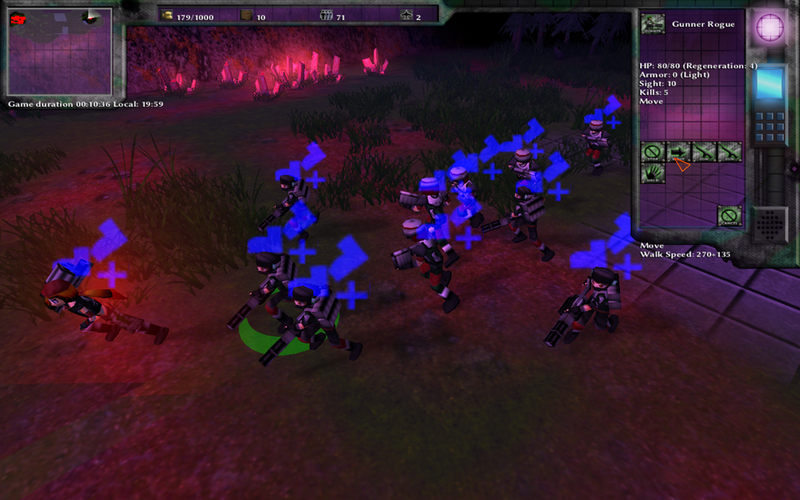 Built using open source RTS MegaGlest, the focus of the game is multi-player and single-player skirmishes. However there are also scripted scenarios/missions! Increased Level cap, unit re-balancing and refined gameplay. New Technology tree options: Simple Battle, Simple Deployed, Ready for War, and Insanity. All Technology trees now have a (D) Double Damage or (H) Half Damage variation. Shadow’s top spy and a dangerous saboteur. 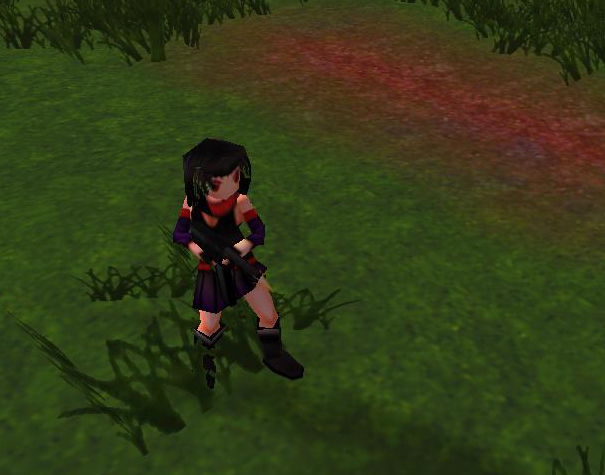 While not as armed as other the heroes (only armed with a concealed sub-machine gun) her strengths are her ability to confuse and manipulate her enemies. An attack that does not deal damage, but instead charms that unit, and surrounding units with her charisma, bribery, whatever it takes. Thus reducing their will to fight. This lowers all nearby units armor by 100%, Attack by 50%, and speed by 50%. Well trained in database hacking, this move can be used on a single structure, completely shutting down its systems, halting any unit production for a significant amount of time. 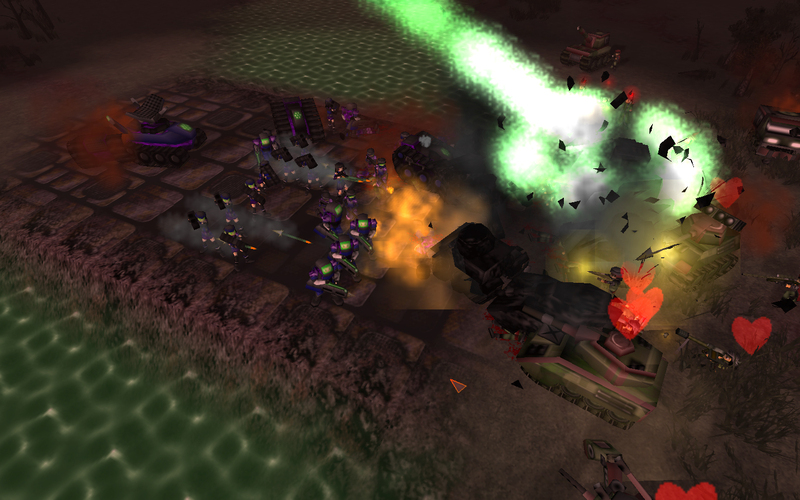 In order for this move to work VIXEN must move close to the structure to work, so be careful of enemy turrets. This move skill, increases her speed by 50% with a cost of 2 ep per step. Any surrounding ally unit will also have their move speed increased by 50%. Great for hit and run tactics, saving your attack forces from annihilation, or just getting forces where the need quickly. This attack spawns a squad of 3 Decoy Tanks. They have similar armor stats as a Rogue Tank, however they do not do damage when they attack and they loose 15 hp a second. They still look like they are attacking though so it may be difficult for the enemy to tell the difference. This attack works at quite a long range, and it works best when performed outside the enemy’s vision, as getting spotted might give the secret away. There may be other ways to tell as well. PS Original Kestrel is still available in the Alliance Faction!